Mordechai Perelman was born in Horodzieje, near Minsk, into a family of rabbis. His father recognized his son’s talent and gave him a secular education, which was rare in orthodox families. Following World War I, Perelman failed the entrance exam of the School of Fine Arts in Warsaw. He enrolled in the Royal Academy of Art in Brussels. 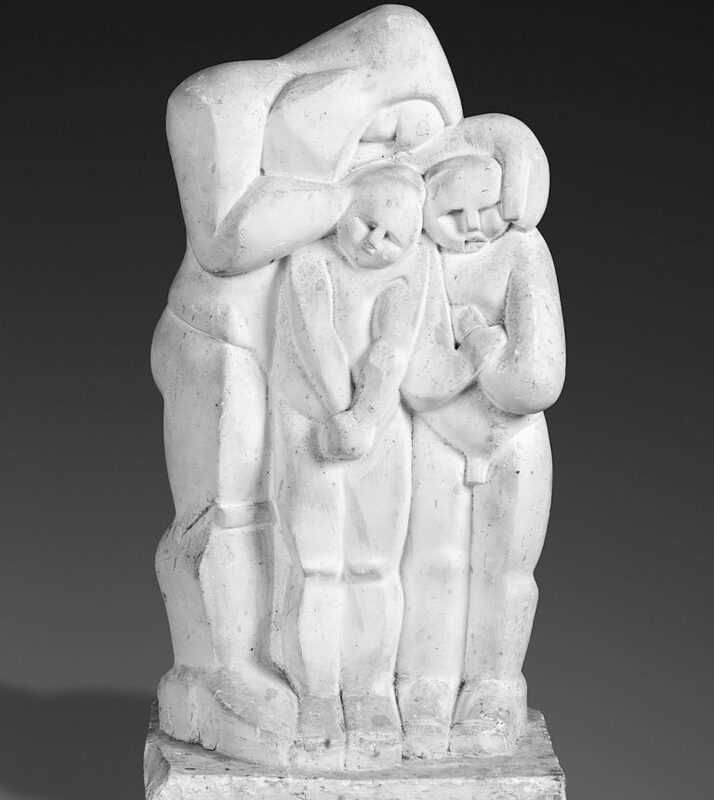 In 1927, he was awarded the sculpture first prize as well as a scholarship. That same year, he finished his studies and moved to Paris. Mordechai Perelman frequented the French artistic scene but stayed true to his traditions. He regularly exhibited his work at the Salon des Artistes Français, Salon d’Automne, and Salon des Indépendants. In the early 1930s, art critics started to take an interest in his work. Indeed, sculpture was not a common form of art among Jews at this time. In 1934, Perelman married Blouma Psihovitz, a Lithuanian law student. Their daughter Hassia was born in 1939. During World War II, they hid at their neighbors’ house. His entire family in Horodzieje died in the Holocaust. 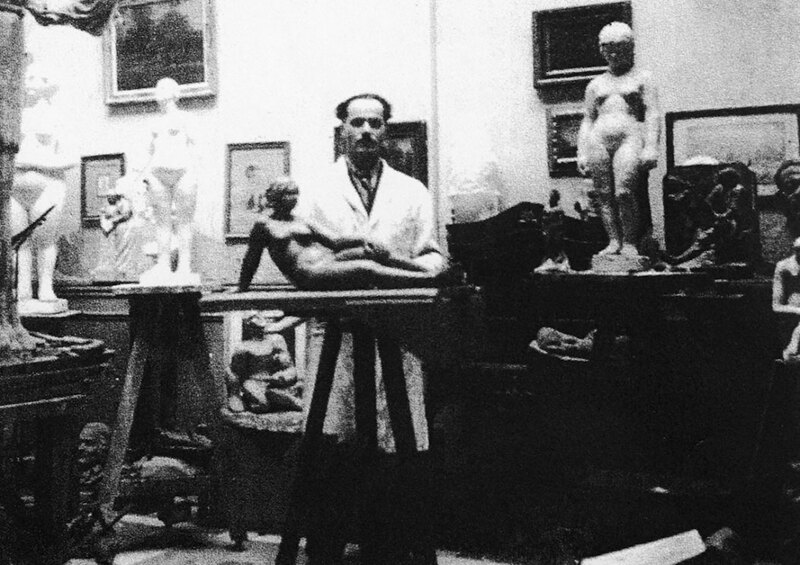 His studio was plundered and his sculptures were destroyed by the Nazis. His prewar works are very rare. Perelman was the president of the Association des Artistes Français from 1946 until his death. He won international recognition thanks to his works on Biblical themes. The French Ministry of Culture acquired one of his sculptures. Today, most of his works are in Paris, Warsaw, and Israel.